Sigh…. been all panicky all afternoon. Something had gone wrong on my server. Seems that everything is OK again. I haven’t been out shooting these last couple of days, so I’ve turned to the archive. I realized that I had taken a considerable amount of pictures of objects that I’ve found the strangest of places. A few was picked to make this polyptych. Common for these images are the fact that they are very colorful objects that people have thrown away (hey it works for me). ps. i cant post from firefox 2 for some reason. just thought you should know. Trying it in FF2 at work this morning. 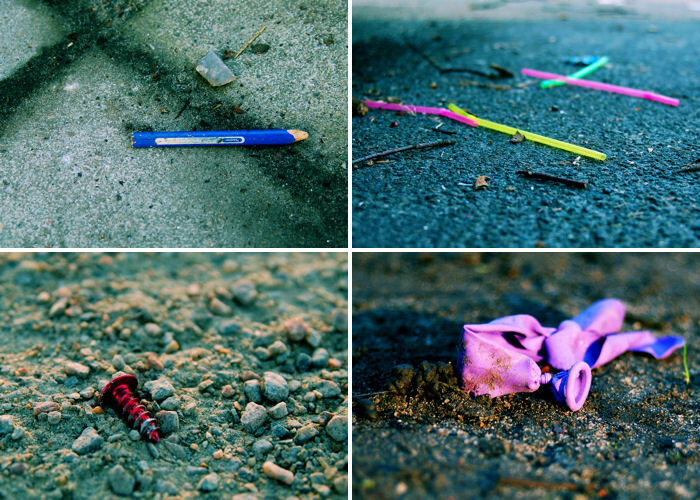 Great group of shots, I really like the almost mournful quality of these discarded objects.